Keep up to date with what I have been upto in the mountains both on a personal and work level. After what has felt like a very ‘on-off’ Scottish winter, this week provided Sean and I with some good climbing. On Sean’s previous trip we did a day of winter skills on Buachaille Etive Beag, then climbed Ledge route and followed that with Curved Ridge. 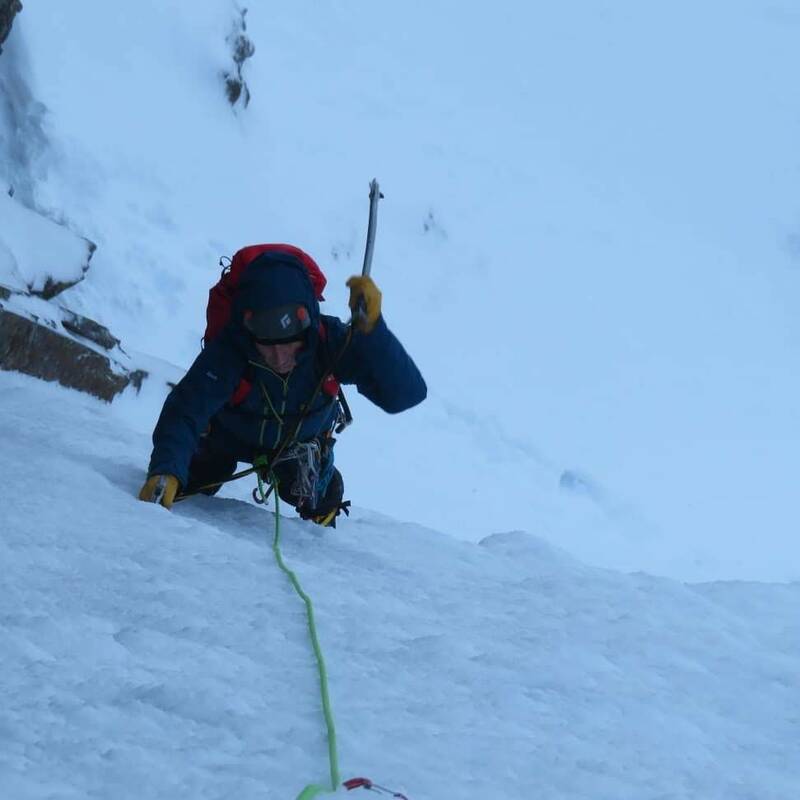 This week Sean was keen to introduce to mixed climbing and ice climbing so day one required a bit of a shake down. WIth plenty of snow around I opted for the East Ridge of Stob Ban. This is usually a grade II or III but I like the ‘sit-down’ start which warrants grade IV and requires some stiff pulls. Day two we went and climbed North Buttress IV,4. 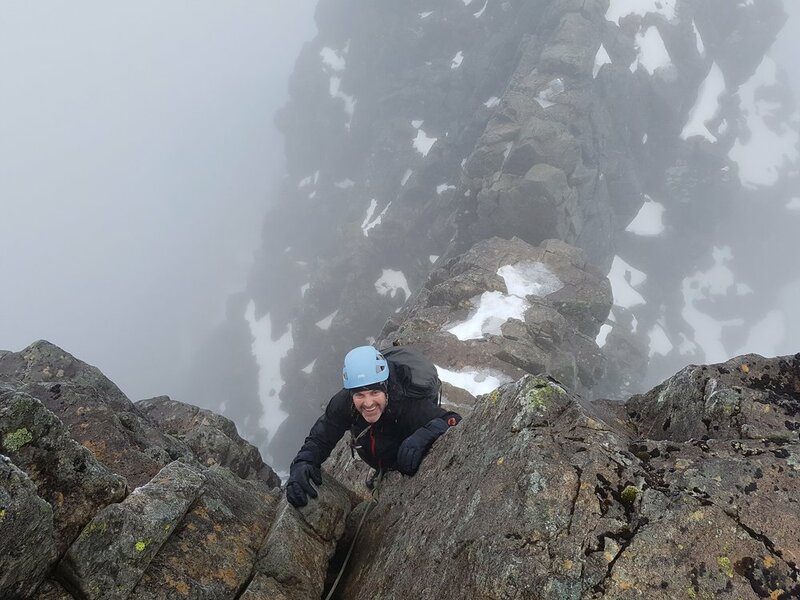 Many teams only do a few pitches and abseil off but the upper section has some fantastic mountaineering terrain so we pushed onto the summit. 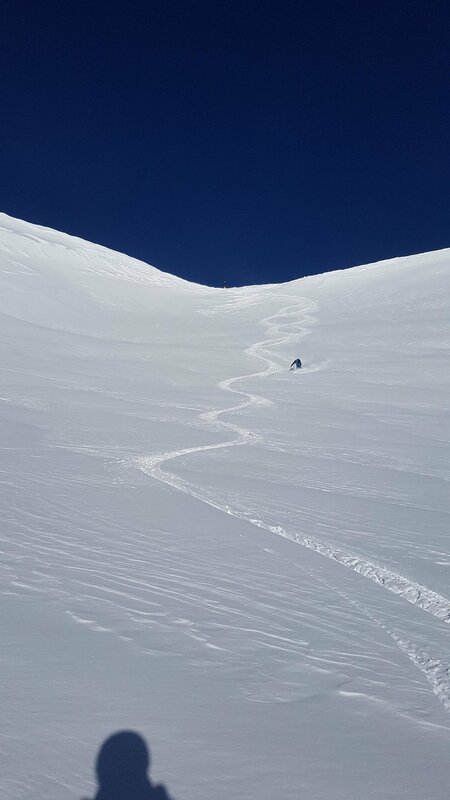 Again we had great conditions and this 3 star route was in its prime. Day three we went onto Ben Nevis and climbed the uber classic ‘The Curtain’ IV,5. As it was mid week we decided to call it a day after topping out on the route and as the weather was coming in, we didn’t see the point on pushing onto the summit on this occasion. Sean on his first ever ice route! Day four we went to Beinn Udlaidh and climbed some chewy ice. A two route day with South Gully of the Black Wall IV,4 (brilliant by the way!) and Quartvein Scoop IV,4, also brilliant! 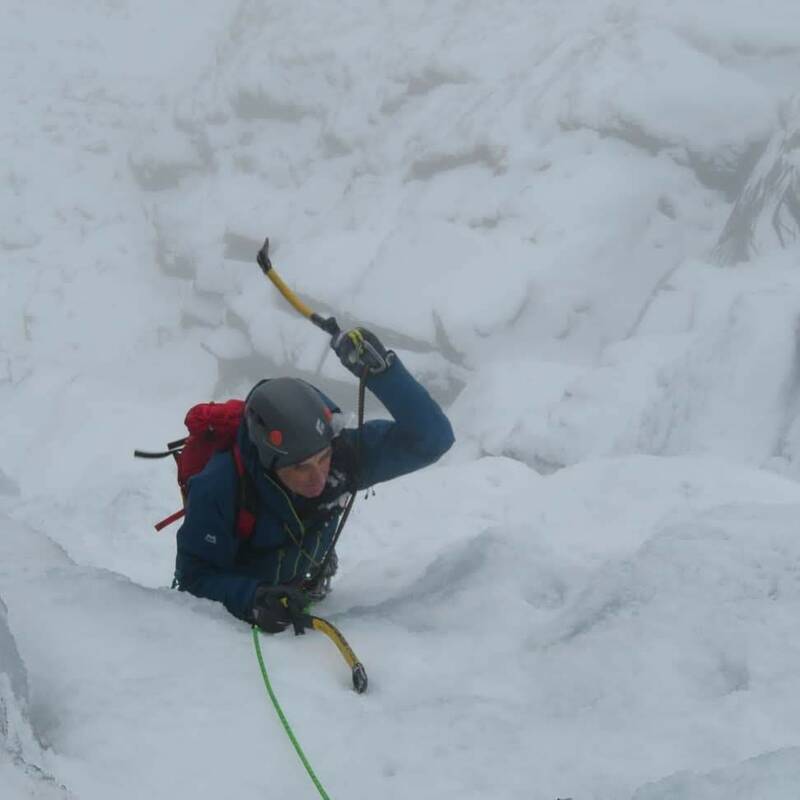 This was Sean’s second day ice climbing and he was really getting the hang of it…and loving it! Our final day was a no brainer. Into the Ice Factor for ice climbing in the freezer and dry tooling on the rock walls. 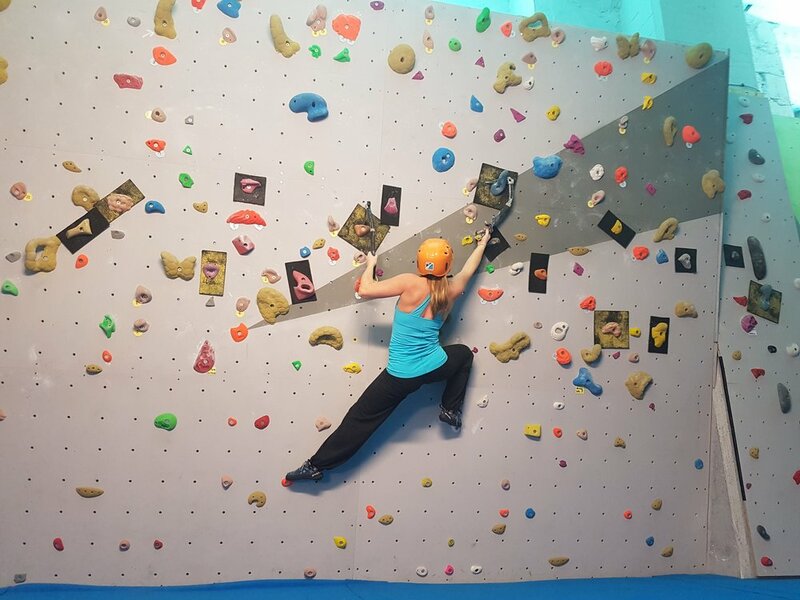 A brilliant way to hone in some technique and get the forearms and core working really well…next time we will be stronger and we’re already planning some classic grade V routes. I Want to go winter climbing! Skiing or climbing? Which one do you prefer? Due to a client unable to drive in the deep drifting snow, we have postponed our days climbing today. It’s too late to find a partner so instead the kettle is on and I’ll be having a day at home! Maybe a good idea as it has been non-stop in the last wee while! This time of year does beg the question, climbing or skiing. I have been fortunate to do both in the last month. 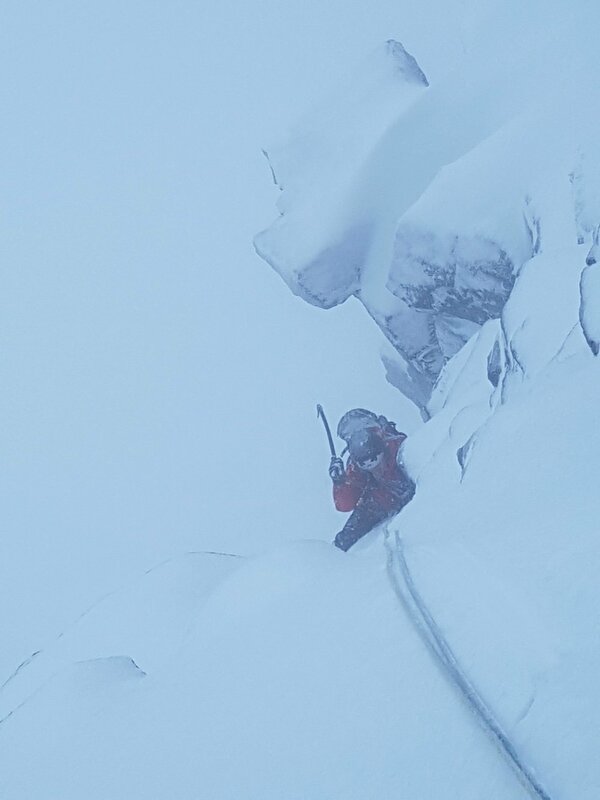 Climbing in Scotland and skiing in the Alps. It has been a slow start to the winter, it came, it went, it went cold, went warm. it thawed and froze…and so on. However, today, Tuesday 22nd January it feels like winter is here to stay for a while. Currently having substantial snowfall on the West Coast where the East is slightly nicer with less snow. The mixed climbing conditions are very good at the moment, the ice routes need a little more work. Louisa keeping warm on Swan Song V,6, Cairngorms. Last week I was in Chamonix for 10 days skiing with friend and with clients. We had great conditions, I was fortunate as it snowed as I landed in Geneva and gave plenty of good powder skiing. 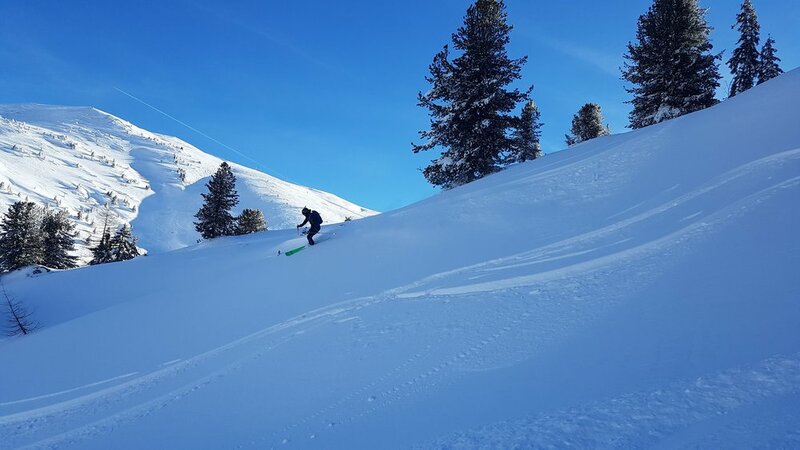 As time went on, the snow was topped up almost every other day meaning we found great powder in the resorts and well away from the piste. 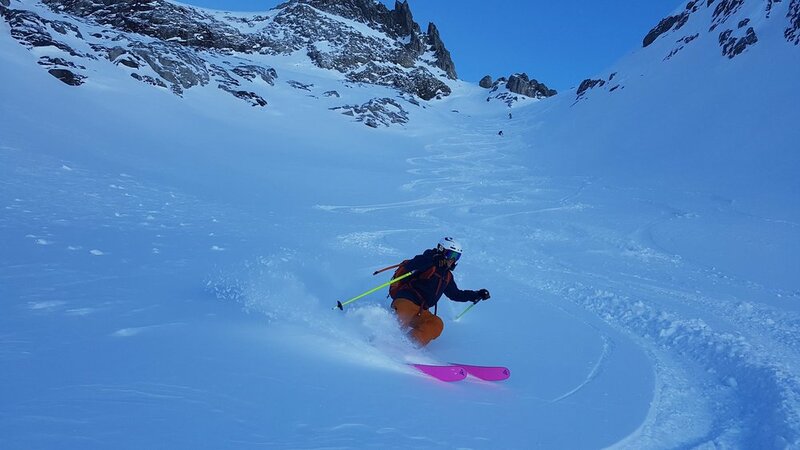 We were fortunate to ski some amazing snow, some routes we had to skin up, such as the Glacier Mort and the uber classic Crochues-Berard Traverse but others we made use of the lifts. 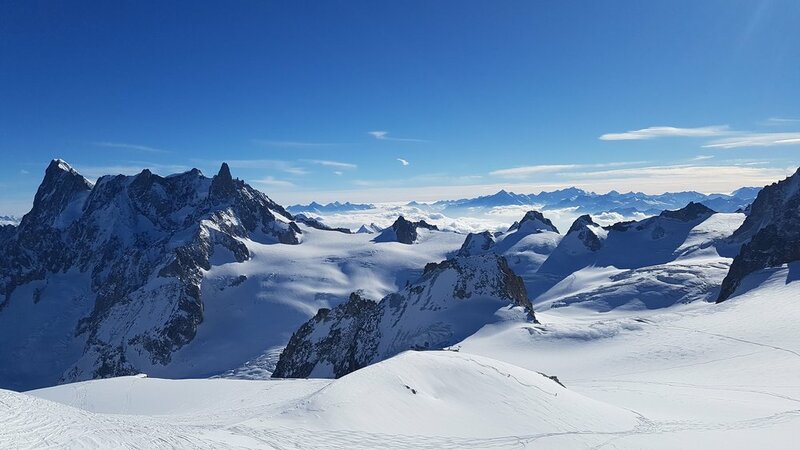 Saint Gervais, Combloux touring and tree skiing, 3 days on the Vallee Blanche, Off-piste at Le Tour, steep skiing off Brevent Hotel Face. If you know where to go, you will be rewarded! So back in Scotland for a while now so getting fully embraced into Scottish Winter which will mostly be climbing as well as a two week Ice climbing trip to Norway ice climbing. Yesterday I was out on Swan Song V,6 in the Cairngorms with Louisa and despite being a very windy day, we tucked in avoiding the worst of the gusts. I’m pretty excited as to what the rest of the season brings. 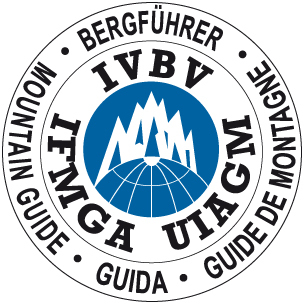 Happy climbing everyone and stay safe! Looking ahead, my Scottish winter is fully booked. For more information and inspiration click on the boxes below or get in touch.